It’s hard to find a skilled commercial electrician who understands the unique needs of contractors and commercial jobs – ElectriCall is your commercial electrical contractors in Denver. At ElectriCall, we have worked with contractors on a variety of commercial electrical jobs including: restaurant and retail remodels and new construction, steel buildings and warehouses, athletic facilities, schools, multi-floor buildings and more. Our electricians are efficient and experienced in a variety of complex installations. We are a perfect fit for all your commercial electrical needs. ElectriCall has years of experience working for Mom and Pop restaurants and restaurant chains. We understand the scheduling constraints specific to restaurants, restaurant remodeling and restaurant construction. We can schedule around restaurant rush times or other sub-contractors. We will accommodate your needs. ElectriCall can remove the dark spots from your warehouse, make everything easier to see, and safer while simultaneously cutting your energy costs by upgrading your light fixtures. We can install or wire forklift chargers, lighting controls, dock lights, dock levelers, transformers, door openers, shrink-wrap machines, compactors, motors, or any other electrical equipment. ElectriCall has the equipment needed to reach your indoor and outdoor lights and the experience to provide you the ballasts, fixtures and lamps that keep your business bright, well-lit, warm and inviting. Let’s be honest, sometimes the power goes out. If your business requires 100% power up-time, because you are a internet services provider, an IT managed services company, etc, you need a redundant power supply that kicks on instantly the second the power grid fails. We help you ensure your critical power needs are always met. Lightning strikes. When it does, you need to make sure your critical business systems, and equipment are protected. At ElectriCall, we install products which can greatly reduce the chances that lightning will damage your electrical system and valuable equipment if lightning strikes and power surges. Plus, if the lightning strike is so powerful that it overwhelms the surge protection devices we install, your equipment is guaranteed against equipment damage and will be replaced. It may be rare that old electrical panel connections become loose or corroded, but if they do, they will overheat, burn apart, and start a fire. That’s why we recommend a yearly inspection to detect these problems before the worst happens. It’s simple, quick and inexpensive and will put your mind at ease. Sometimes; due to storms, damage, worn-out equipment, or other unforeseen events; your electrical service needs to be changed out. At ElectriCall, we are experienced with the red tape and paperwork that goes into obtaining the required permits and coordinating with the utility companies, while working to your schedule. 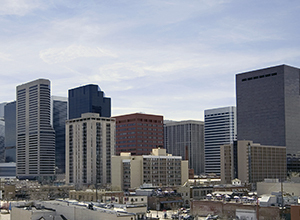 If you need a service change-out in the Denver Metro area, we’ve got you covered! ElectriCall can install or repair your parking lot lights, and perform the electrical work necessary to bring power to your signs. We can maintain and install lighting controls, and get power to your project wherever and whenever you need it. Remember, at ElectriCall, your satisfaction is guaranteed! Call (720) 879-2253 or submit your request using our contact form!